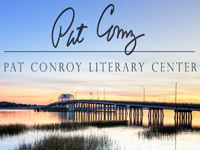 The Pat Conroy Literary Center educates and inspires a community of readers, writers, and teachers in and beyond our home in the South Carolina lowcountry. In honor of our namesake, one of America’s best-loved writers and truth-tellers, the Conroy Center continues Pat Conroy’s courageous and generous-hearted legacy as a teacher, mentor, advocate, and friend to storytellers of every kind. 308 Charles St. The Kazoo Factory houses “Kazoobie Kazoos”, America’s only full-time manufacturer of plastic kazoos. 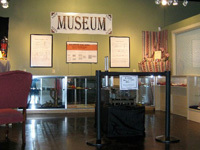 Our building also houses “The Kazoo Museum”, a wonderful collection of historic and interesting kazoos. We offer Factory Tours and a chance to make your own kazoo. Perfect for families, school groups, bus tours, and senior citizens. Our gift shop sells all kinds of kazoos and fun musical instruments. Open year round. Free Wi-Fi. Bus and RV Parking. Handicap Accessible. 3 and under Free. $5 4 and up. 12 John Galt Rd. Beaufort, South Carolina is widely known as one of America’s most charming art towns. 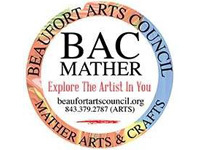 With plenty of artists and artisans who call Beaufort home, the downtown area boasts a number of art galleries and well as historic museums. Discover creative treasures by established and emerging artists and tour museums that explore the rich history of the South Carolina Lowcountry. Old Try has created a limited edition letterpress poster! Beaufort has gained a new distinction by being one of a handful of cities across the country for which a new southern-oriented print company, Old Try, has created a limited edition letterpress poster. They are being sold exclusively through Historic Beaufort Foundation and are available at the Verdier House at 801 Bay St.